Viknesh Vijayenthiran October 10, 2018 Comment Now! 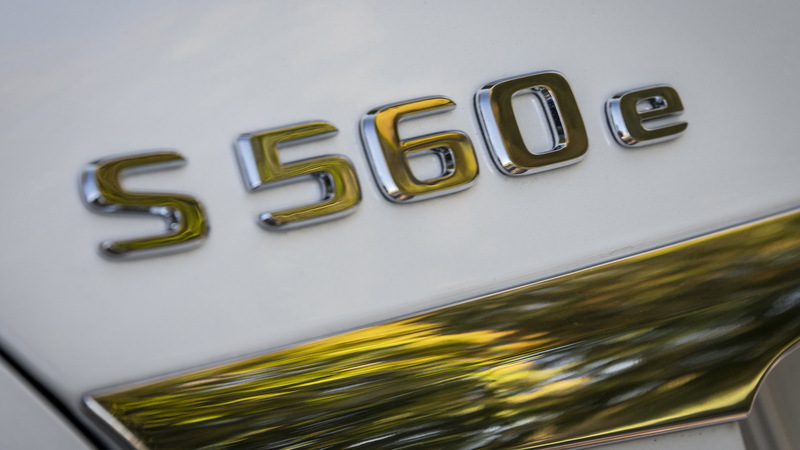 The new S560e variant in Mercedes-Benz's S-Class lineup is the first to feature the automaker's third-generation plug-in hybrid system, which has not only been tuned for efficiency but also improved power and electric range compared to the second-generation system found in the outgoing S550e. The third-gen system consists of a 3.0-liter V-6 which works together with a single electric motor integrated with a nine-speed automatic transmission. The combined output is 476 horsepower but the electric motor, which has an output of 120 hp, has the ability to drive the wheels on its own. 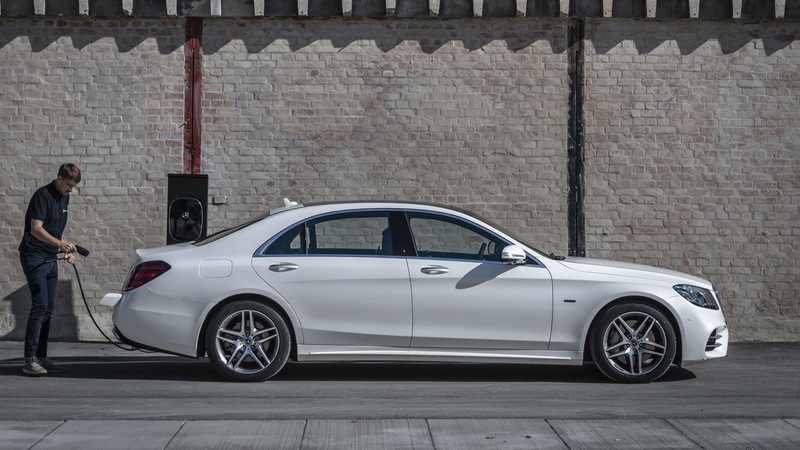 In electric mode, the system can carry the S560e approximately 30 miles thanks to a 13.5-kilowatt-hour battery. The top speed in this mode is only 80 mph but with the V-6 kicking in the top speed rises to 155 mph. Because of the modular nature of Mercedes' third-gen plug-in hybrid system, it can be used in a variety of models. Mercedes confirmed Wednesday that the system will feature in the C-Class up, though at the C-Class level we could see the V-6 swapped for an inline-4. In some markets the system will also integrate a diesel inline-4 for an additional efficiency boost. 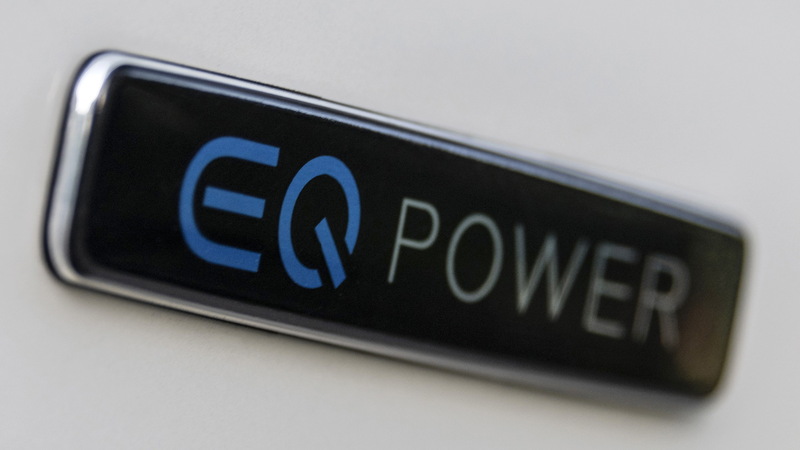 The system also features an Eco Assist mode. This helps the driver create the most efficient driving experience using pedal prompts. Pulses in the accelerator pedal have various meanings. For example, a variable point of resistance tells drivers the maximum amount of electric power is being delivered. Additionally, a double pulse recommends the driver take his or her foot off of the accelerator, which turns the internal combustion engine off. The system works in concert with the head-up display, which also provides prompts as to when the driver may be approaching scenarios where coasting is acceptable to activate the S560e's regenerative system. The regenerative system also kicks in under braking. 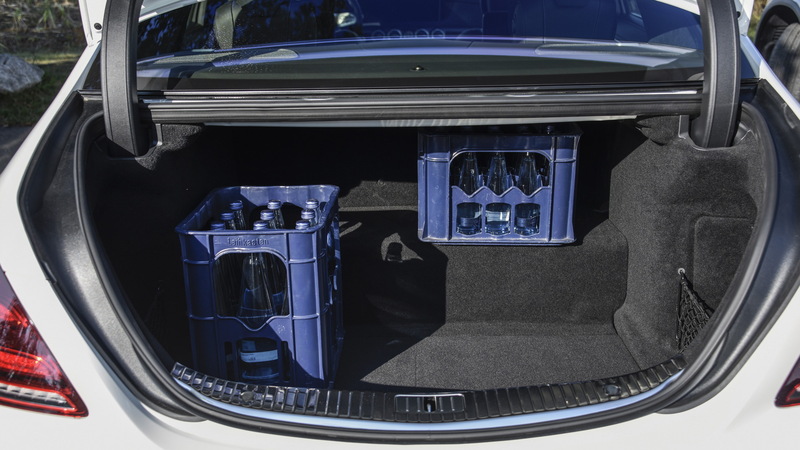 Of course, the driver can sit back and let the car handle the delicate balance between using electric and internal combustion power. Through the extended use of data from the navigation system and information from the camera and the radar sensors, the hybrid system can look ahead well beyond the driver's field of vision and adjust to the specific speed/route profile, for example deciding when the use electric power or internal combustion power, or both, or when to regenerate energy. 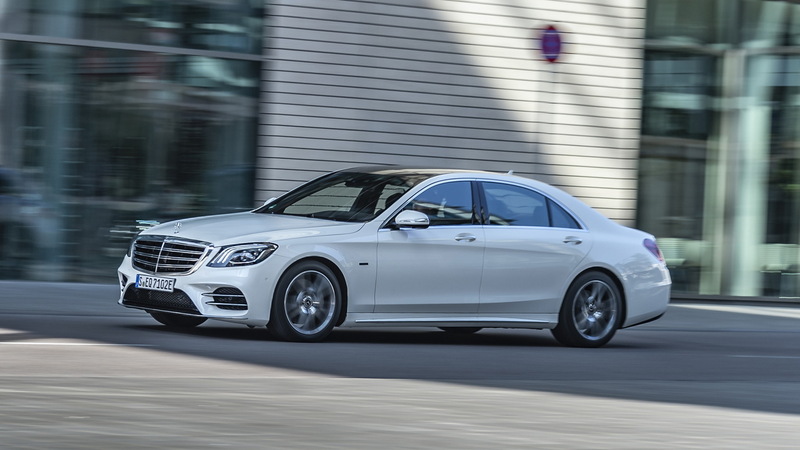 The S560e starts sales in Europe this month. Availability in the United States is yet to be announced.